"This year indoors, the two players have got identical 14-2 records on tour, but closer examination of the data from these matches indicates Federer has a huge edge on return, breaking 29.9% to the South African's 14.7%, although Anderson's big serve gives him a narrow advantage on serve, holding 92.2% to Federer's 89.2%. " We saw wins for Novak Djokovic and Marin Cilic yesterday in London, with Djokovic easing past Alexander Zverev - again showing the ability gap between the two players currently - while Cilic fought back from a set down to get the better of John Isner in three. With Djokovic beating Zverev, it's impossible for the German to now overtake him in the Kuerten Group, with the next driver for qualification, after points, being head to head results. In addition, Cilic can't overtake Djokovic either, even if he somehow beats the Serb in straight sets, as Djokovic will have won a higher percentage of sets. Therefore, the remaining three players are all competing for second spot, and despite two defeats, it is still possible for John Isner to qualify if he beats Zverev in straight sets on Friday. However, focus today is on the final round of matches in the Hewitt Group, which also has an extremely high number of qualification permutations possible. First up, Dominic Thiem faces Kei Nishikori, with a Nishikori victory having the potential to make life more difficult for Roger Federer. If Nishikori does triumph, Federer will need to win in straight sets against Kevin Anderson to have a chance of qualification. However, if Thiem gets the better of the Japanese man, Federer will qualify with any sort of victory. There is also the distant possibility that Federer can qualify with a loss - he'd need to lose in three sets and for Thiem to win in straight sets for that to occur. Understood? I'd forgive you if you didn't, but what it does generally indicate is that it is extremely likely that Federer will need to win to qualify, and quite possibly need to do so in straight sets as well. With this in mind, I'll look at Federer's match against Anderson first, despite it being second on the schedule, starting at around 2000 UK time. For this, the Swiss man is priced at [1.44] to get the win, which I make some slight value, with my model pricing him at [1.36] to triumph. This year indoors, the two players have got identical 14-2 records on tour, but closer examination of the data from these matches indicates Federer has a huge edge on return, breaking opponents 29.9% to the South African's 14.7%, although Anderson's big serve gives him a narrow advantage on serve, holding 92.2% to Federer's 89.2%. 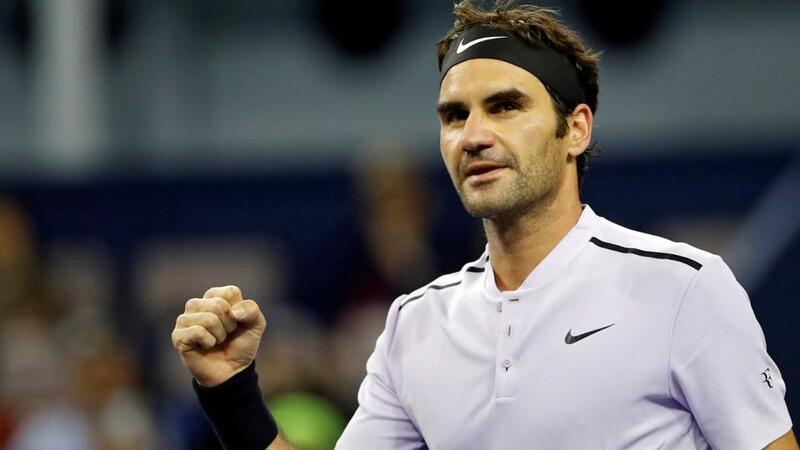 In addition, Federer has taken four of their five previous meetings, and been priced much shorter to do so on all occasions, being priced below the [1.25] mark for all five. Anderson has only been able to hold 73.9% in these five head to head meetings, which illustrates that Federer has been able to assert consistent pressure in their previous matches. With this in mind, as well as the model value and necessity for him to win well, I like Federer on the game handicap today. We can get [1.90] on Federer -2.5 games, a line he's generally been excellent at covering historically when priced at similar levels indoors. Prior to this match, however, is Dominic Thiem against Kei Nishikori, with Nishikori a solid [1.56] to get the better of the Austrian. I do agree with this line - he's got much better hold/break data than Thiem indoors, both this year and longer-term - but I'm a little surprised that the market hasn't over-reacted to the nature of his crushing defeat against Anderson on Tuesday afternoon. I do feel that this has been compensated a little for the probable necessity for Nishikori to win, as well as Thiem's standing in the group, and the market looks like it has balanced both potential over-reactions to create a price I make about right. With the various possible qualification permutations in play today, Thursday's action at the O2 Arena will be fascinating, and promises a dramatic day on court.